This volume comprises three books by Graham Stuart Thomas that have transformed our gardens, establishing him as one of the most influential gardeners of the 20th century. The Old Shrub Roses (1955) brought to public attention the favourite roses of the early 19th century: the intensely scented Damasks, the rich and sombre Gallicas and the Albas with their unique combination of elegance and thriftiness. Shrub Roses of Today (1962) identified the species and hybrids from Japan and North America, from English and Scottish hedgerows and from the mountains of China, full of virtues then unrecognized. Climbing Roses Old and New (1965) considered ramblers and climbers such as 'Adelaide d'Orleans' and 'Desprez a fleur jaune', now more than 150 years old but still incomparable. 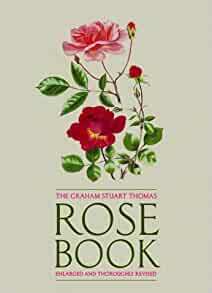 The Graham Stuart Thomas Rose Book brings the trilogy together, substantially revised and updated. New material has been added, practical advice is included on planting, general cultivation, pruning and display, and new photographs complement favourite illustrations from such masters as Redouté and Graham Stuart Thomas himself. "'More than anyone else, Graham Stuart Thomas launched the revival of interest in roses long out of favour.' 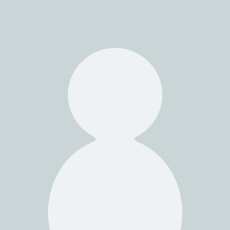 Henry Mitchell, Washington Post; 'The greatest gardener of our time, perhaps of all time.' Daily Telegraph"
This volume comprises three books by Graham Stuart Thomas that have transformed our gardens, establishing him as one of the most influential gardeners of the twentieth century. The Old Shrub Roses (1955) brought to public attention the favourite roses of the early nineteenth century: the intensely scented Damasks, the rich and sombre Gallicas and the Albas with their unique combination of elegance and thriftiness. Shrub Roses of Today (1962) identified the species and hybrids from Japan and North America, from English and Scottish hedgerows and from the mountains of China, full of virtues then unrecognized. Climbing Roses Old and New (1965) considered ramblers and climbers such as 'Adelaide d'Orleans' and 'Desprez a fleur jaune', now more than 150 years old but still incomparable. 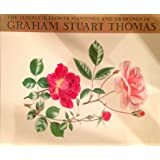 The Graham Stuart Thomas Rose Book brings the trilogy together, substantially revised and updated. New material has been added, practical advice is included on planting, general cultivation, pruning and display, and new photographs complement favourite illustrations from such masters as Redoute and Graham Stuart Thomas himself. 5.0 out of 5 starsRoses grow on you ! An excellent book for the enthusiast. More of a book to dip in and out of than a good read . Very glad I got it. Great book even though is is now a few years old. The revised book is made up of GS Thomas's trilogy of rose books. Nicely bound, some of the older books by Dent,fall apart in the bindings. So I am pleased to have the book in one revised edition. 5.0 out of 5 starsRoses roses roses. A great book, in depth packed with masses of information. Essential for those who love roses as insights into growing in different areas with different species/cultivars is necessary to grasp. I purchased this book as a birthday present for my wife. She loves the book, what more can be said? Having a nice collection of books on roses, this one continuous to be my favorite. GST's combination of authority and enthusiasm makes the book great reading every time I open it (which is quite often). As a compilation of three older books and some of the early 20th century work "from other pens", the book may seem rather dated. But good old roses never die and for people with an eye (and nose) for old garden roses and the earlier modern roses as well, this book cannot fail to give lots of pleasure and inspiration.